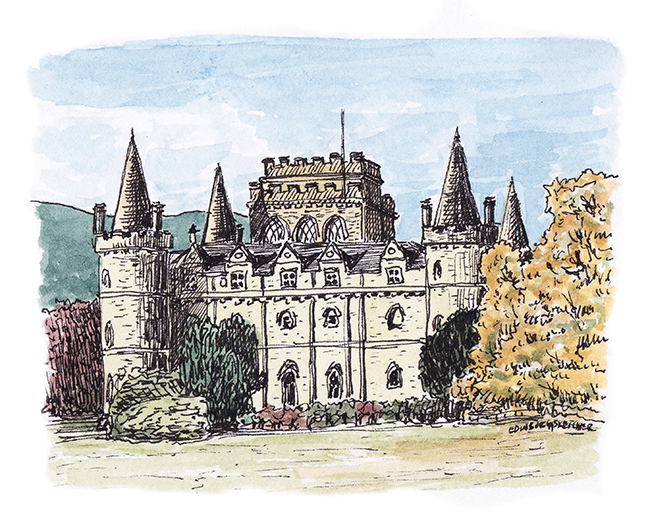 This is your Scotland WhereArtI for March. Can you name the location I’ve sketched? Hi everyone, thanks for playing my sketch quiz WhereArtI. This is Inveraray Castle in Argyll, western Scotland. 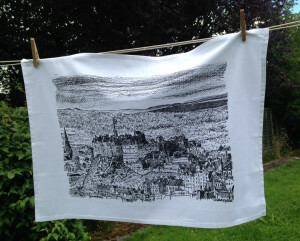 Well done if you got it right, especially Janice Mills who wins this months ES tea towel. Email me at contact@edinburghsketcher.com Janice to arrange delivery of your prize! The first three correct answers and winners of the points were @dunedinhen at 8.03am, @0aproposat 8.04am and @CityCycling at 8.05am. You have to be quick to win the points!